We Just Passed Prince Charles’s 96-Month Deadline to Save The World From ‘Ecosystem Collapse’ | Watts Up With That? ← "‘The permafrost is dying’: Bethel sees increased shifting of roads and buildings"… Now they just need some warming. ….. or long live King William IV. Actually he would be William V. William IV was king from 1830-37. There won’t be a King William IV any time soon. it has already been decided that Prince William if he ascends to the throne, either before his father or later, will become King George VII, after his great grandfather (who himself was actually named Albert. Maybe we should make him “King of the Earth” to save us all from globull warming and that nasty capitalism. God save the queen. The prince is on his own. God save the queen – but Jesus keeps his money at the 1st National bank. “the brit’s” don’t ‘usually’ say “god save the queen”. There are an enormous number of us opposed the parasitic royals who have been a drain on our resources for generations simply for a bit of tourist curiosity. There presence promotes the concept of fascism amongst developing countries with the concept of a grand leader, with a lavish lifestyle, dictating to the commoners. You need only watch the footage of despots in their finery which mirrors the military foundations of the British monarchy. It’s high time these over privileged, land grabbing thief’s, were stripped of their ill gotten gains, to be returned to the public. Perhaps Charlie boy should consider that before opening his ever widening trap about socialism, or in his case, any subject he care to pontificate about. And if anyone else has read about Al Gores ‘Gentleman’s’ qualification from Harvard(?) where the children of the wealthy are awarded a ‘C’ pass under any circumstances, Charlie boy was just the same. A notable intellectual dunce who, because of his wealth and inherited position, continues to make illogical and idiotic pronouncements on any subject he see’s fit. The man was, is, and continues to be a buffoon. So in fact I’ll retract my first statement. God save the Queen indeed, the longer she lives the less time this idiot will rule over our country when he succeeds her. Ain’t it a scream how the nobs who live on the biggest pile of dividends all claim to be “anti-capitalist?” Wot? They going to go wait tables or drive a bus or something? Crock o’ shite! Dude why do you think the Queen is still alive? She’s holding on, through sheer willpower, to make sure her idiot son is on the throne for as little time as possible. The queens mum lived to 101 – so – the genetics might be with her. The poor woman, she wakes every morning and hope to read her son’s obituary. ….or long live King William IV. Already taken as pointed out by 3¢worth above ! Anyone who declares the outcome to the month is whistling past the graveyard. You know he’s an idiot, right? Pretty much everybody knows he’s an idiot. Even the BBC gives him decreasing attention these days, whether he is predicting the end of the world next week, or whenever his plants tell him it will happen. I think even most of the media actually treat him as one level below ‘fake news’, if you can believe it. I suspect Prince Chuckie is in many ways to the UK what Al Gore is to the U.S.
Royals really aren’t great thinkers despite their pedigree and education. Been hit in the head by one too many polo mallets. Yes, but being hit on the head had no effect on his intelligence because there isn’t any! But England has a history of mad kings! After all, we have to thank George III for the split between the English in America and the English in England. Perhaps we have been through so many “tipping points” that we are now right-side-up again? Good pitch, I can roll with your idea. Either way, Al Gore and Prince Charles say we have passed the tipping point. There is nothing more we can do. So let’s take them at their word and do nothing more. Dropping out of the Paris Agreement was a good start. …passed so many… There you go! It’s all over but the crying, so let’s hop in the SUV and go down to the bar and have a beer in air conditioned comfort. A cold beer, or British style? …and fire up the barbecue grille while you’re at it!!! Is she related to that moron that runs Nation magazine. If she is understandably she’s a moron by heredity. CB, I think it is wrong to defame intellectually dull people by comparing them to fanatics and con artists. We’ve tipped over already, and nobody noticed. The myriad consumer goods which people buy are produced and distributed by legions of people who have jobs now, but wouldn’t under a return to “old fashioned” ways, except as serfs and servants of the owner class, the Barons and Kings and Princes. The Champagne Socies would would need a lot of whipping boys and they would prefer sceptics, but of course feminists would be crying foul at the inequality of it all. And then there are a brace of other genders to be reckoned with. The boys would lose out I guess. …and the owners of old came by their wealth and power at the point of a sword. How unfortunate for those clinging to the past, that their positions are threatened by those who have an opportunity through the modern ways to wealth; savvy, hard work and innovation. …made possible by individual Liberty and the right to own property. …. and made possible by Capitalism. Meh…I value his opinions as much as I value Bill Nye’s. And Nye is far more educated in the sciences. For all his hatred for capitalism I don’t see any relinquishing of the perks. “Media propaganda” are the two words regarding this issue and many of the gullible. The BBC and Guardian two of the main ones regarding the UK and if you believed half of what these mentioned, the world would have ended already. Don’t expect of these well known alarmists to have actually read any science papers or even question any findings without a scientific analytical mind. My East European friends wonder why the Queen is doing this to her children (meaning, not abdicating). Why? She is a wise Queen. Why Alex? You want to apply? Reigning king dies, crown first goes to eldest son. Reigning queen dies, crown first goes to eldest male sibling. I think. Rules of royal succession can be silly complicated. Well Lord M of B could fill you in on that lack of history knowledge. His Grandfather played a significant role in that event; absent which, we would all be speaking German. Much of the time, the rules of succession boil down to which side has the bigger army. Could this be the same Prince of Wallies, who regularly commandeers the Royal Train for his jaunts around the country? Indeed the little wally actually uses the train more then his mother, who actually does a useful job. Predictions are difficult, especially those about the future. Why do people who have no real climate knowledge say such asinine things that only make them look stupid latter? That a really good question! If you’re stupid enough-you have no idea how stupid you look! I think that has the ring of truth to it! Only intelligent people are mentally equipped to know how stupid they are. Or, put another way: When you’re dead, you don’t know you’re dead. Only your family and friends know. The same is true when you’re stupid. Well, it looks like it’s too late. Pass me a beer and we’ll all go down together. No point in worrying about spilt milk, is there? It’s all that damn royal intermarriage coming into play. My general impression is that Prince Charles is not the sharpest tool in the box. That said, he is simply reflecting what he has been told by UNFCCC and IPCC and BBC. By comparison, former US Sec. State Kerry said global warming was the world’s biggest problem. Not North Korea, not Iran, not Islamical racidalism. Thereby proving Swiftboat Kerry to be as dumb as he looks. Judging someone’s intelligence by the beliefs they hold proves you aren’t very intelligent. I’m sure that there are a lot of people that would judge you to be dumb based on the “nonsense” you spout. Judging someone as dumb based on their looks, (Swiftboat Kerry to be as dumb as he looks) just makes your lack of intelligence even worse. I don’t know which side of the pond you are on, or what generation you belong to, but Kerry’s looks have been compared to the Adams family’s butler, Lurch, who was also not known for his brilliance. A bit of a stretch, perhaps, but there you have it. Ted Cassidy was not dumb. Do you have a problem discerning the difference between the character portrayed on the screen by an actor, and reality? Looks like Americans did just that in electing the guy with that thing on his head. I can’t tell if you’re just oblivious to your lack of reason and logic, or you hate the American president based on his looks but love Kerry based on his, while claiming looks don’t count. A swing and a miss Sheri. Americans elected the character portrayed on the TV show “The Apprentice.” They are slowly learning that the “actor” isn’t anything like the guy on TV. You have reading comprehension issues, mate. Hawkins, your problem is you can’t distinguish the act from the actor. “Lurch” is not real, but Ted Cassidy is. For your information something that is not real can neither be “dumb” nor can it be “intelligent.” Tell me, is Mickey Mouse dumb or is Mickey Mouse intelligent? drednicolson, I disagree, a lot of dumb folks are very vulnerable to accepting nonsense and indulging in intellectual dishonesty to defend that nonsense. 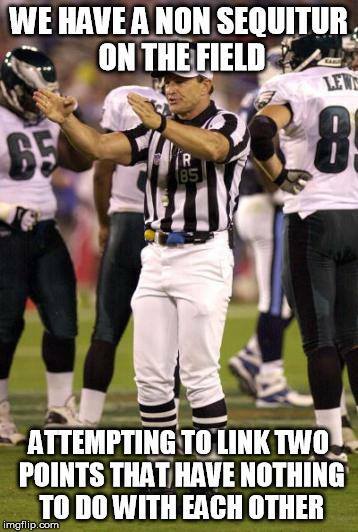 My usual comment rule per this blogs rules is play the ball, not the man. This post was, however, about Prince Charles’ nutty failed 2009 predictions. Still, played the ball not the man and blamed warmunist ‘propaganda’ for Charles misguided pronouncements. In Kerry’s case, a deserved exception proves the general rule. AGW a bigger problem than nuclear DPRK? Than Daesh? The ball is the man when he is SecState of US. As for Trump, MD, Deplorables have spoken. Get used to it. They will speak again in 2018 and 2020. You will need to get used to that, also. Its tough for progressives when the silent majority decides not not to remain silent. Brexit. Trump. Macron. All repudiating an unworkable status quo. LOL Macron……He not a “deplorable”, he’s a centrist…..you seem to have forgotten what happened to the real French “deplorable” Marine Le Pen. PS, keep an eye on the approval rating of the Deplorable in the Oval Orifice. That way you’d be following your own rule. Hey Griff, that’s a pretty stupid comment! People’s beliefs are a direct reflection of their intelligence. On your latter point you are correct, however, it is wrong to judge people by the quality of their dental work. Not so much on the quantity of their plastic surgury, though. Michael darby, apparently you cannot read. ristvan did not call Macron a “deplorable.” His point is that the ignored voters have wised up to the fact that the entrenched politicians care only for their themselves. The Republicans mistakenly believe that they won the last election. Trump won and any Republicans who oppose his policies that his supporters favor will find themselves voted out of office at the first opportunity. The Democrats have not figured this out either. Many of their voters are starting to wake up, too. If there are enough candidates who support Trump and oppose the establishment in the next mid-term elections, things will be very interesting. That’s what Putin said about Trump after their meeting last week. I assume Putin meant he’s not anything like he is portrayed by the Leftstream media. And he’s not. Trump’s supporters think they are seeing a supercharged Ronald Reagan in action. Maybe Putin is starting to think that way, too. John Kerry is not the swiftest boat in the water…..
Don’t get me started on John Kerry. The only public figure I can bring to mind of top of head who isn’t a total maroon on this is the tv botanist David Bellamy. Well he was a tv botanist but now he’s an unemployed tv botanist for calling the global warming bs out – in a shock result. David Bellamy is still a well regarded figure around the world for his common sense environmental work. And now in (my) later life he is even more well regarded for his common sense global warming views that fell foul of the leftist consensus. He lost most of his TV work and many of his committee positions because of it. “Leftist consensus”. That’s a good way to put it. And the leftist consensus will punish you if you don’t go along with their agenda. 96 months? You mean, if we had done something in month 95, we could have averted disaster, but now it’s too late? Why didn’t his highness remind us last month? Oh, the fox hunt was on? Sorry, who knew?. If we cannot now change the future, the tipping point having been passed, we might as well sit back and enjoy the show. No need for more studies, conventions or any other expenditures. These guys remind me of the religious people who pick a date for the rapture, all their followers get excited, and then nothing happens, and then they move the date down the road. The tipping point must always be in the future or the gravy train ends. Until then life will continue, with or without you. Tom, your diagram and explanation are incorrect. Michael, I learned this here too sometime back (O2 from H2O). It’s a education worth repeating. There’s 6 carbon atoms on the left and 6 carbon atoms on the right; 12 hydrogen atoms on the left and 12 hydrogen atoms on the right; and 18 oxygen atoms on the left and 18 oxygen atoms on the right. You need 12 oxygen atoms on the right for the 6 oxygen molecules. There’s not enough oxygen atoms in the 6 molecules of water on the left. I wonder where the other 6 oxygen atoms come from? Good illustration. Plants make sugars that feed all kinds of critters. I tend to use the carbohydrates produced by this chemistry of life as ethanol in an aqueous solution. Right now I am drinking an extract from Vitis Vinifera fruit that has been modified by saccharomyces c. yeast. Life is good! What a hypocrite! When did he last have to work for his weeks food? I have a great respect for the queen as a person, but because I know that capitalism is the only way to feed me, my family and every other normal person inthe world, I have very little respect for the institution of royalty or aristocracy. Well in spite of his impeccable ancestry, with only a fuzzy period about Richard III’s time, poor old Charles is simply not very bright. He would be a good candidate for being a weather forecaster though. Thank God that the tipping point has now been reached. This means that no matter what we do we are now doomed. Resistance is now futile. We now can no longer save future generations from this inevitable fate. Any money or sacrifices expensed will have no impact and make no difference. So what is the conclusion we make from all this. Logical. Climate science can now return to its prior classification of esoteric. Also means rejecting the Paris Accord was the right move. No matter what we do, we’re toast according to Charles. No reason to participate in any more silliness. There must be a remote island somewhere without power or resources and with lots of voracious wildlife where he can be king of the coconuts. One nut talking to lots of others? A Botanical DooLittle! Do they respond and converse? My petunias all say you’re mean! Switch to daisies. They aren’t as judgmental. With the decline of bees many flowers go un-pollinated. I assist the plants in my garden with manual pollination. It may make the neighbor lady giggle, but I find it helps to talk to the plants while I violate them. So, does saying “Baby, oh baby” help while digitally penetrating a flower to play with the stamen? I do not know, and frankly do not care. I have squash while others have squat. Flowering plants somehow managed to survive on this continent for millenia before the European honey bee was introduced. The bees are fine, not to mention the 4000 native species. It’s easy to denigrate capitalism when you’ve never had to work a day in your life, provide a service people want and value, build something that make other people’s life better, etc. That’s exactly the point… with unchecked capitalism, EVERYONE has the chance to join the ranks of the wealthy, and then Prince Chuckie wouldn’t be so “special” anymore! 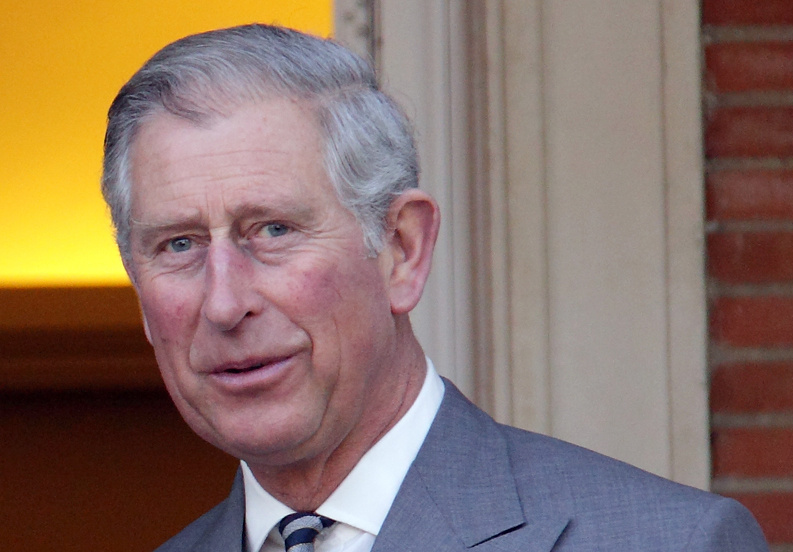 Prince Charles was known for talking about grey goo. Hmm… what is grey and might be gooey with the Prince? I’m still waiting for the Nano-bot apocalypse. There is Charles’ version or the one presented on Futurama. Little benders hold better entertainment value so I will go with the obvious comedy. You got some photoshop/whatever chops. Ridicule is one of the sharpest political waepons skeptics have. Carry on. I am dam lucky to have as future king, Charlie. Oh! the trouble that would cause. This big eared chap fits the roll, just fine. Tell a lot of balderdash, get him to believe it, no problems. All we have to do then, is say your correct my liege. The fellow then toddles of, happy to talk to his plants. Leave the chap alone, he is just what is needed. You mean like the USA under Emperor Obama? Well, the way he went roughshod over the “Checks & Balances” it sure looked like he THOUGHT he was! Self-righteous dangerously inbred product of the European royal families. Isn’t that what Al Gore said? One for all… and the rest for me! I thought he only confided with his daffodils! He could just pull a Phil Jones and extend the deadline another 96 months. Self-righteous dangerously inbred product of the European royal families . Why is there even a queen/king of England? This is the 21st century for crying out loud. Because it’s their country and they can run how ever they damn well like. Why do we even bother to teach history any more. Today’s youth can’t even think beyond the next try at winning that video game on their latest finger toy. The USA now has about 241 years of history behind it, and “Americans” around double that give or take. “Europeans” have two to three thousand years of getting to where they are, and some other cultures leave most of us in the dust. If none of that means anything to you, why are you even here reading this blog ?? Some of us hope to exit this place, and leave it in a better condition than it was when we came into it. Most of the readers here have no idea at all, just what the heck goes on at Buckingham Palace, day in and day out, It all helps preserve the origins or what some of us think is what makes being human different from being simply mammal. I don’t think that I could survive being born to a life that would be totally pre-ordained from before I’m even born. Who was the last mega-millions lottery winner, who “lived happily ever after” ? ? The monarchy promotes “social cohesion”. It is far more important than “diversity” and “inclusivity”. She, as in HRH QE2, I don’t recall when it was, didn’t “pay her way”. She doesn’t “earn” anything either rather receives “income” from the civil list. It seems that a great many Americans upon visiting the UK can’t wait to get to Buckingham Palace to observe the changing of the guard or whatever else is going on. Well at the same time they denigrate the very thing they came to see. For a great many people the question is why on earth would one visit the UK, if it wasn’t for the pageantry of history. HRH QE2 brings in more tourist dollars than it takes to support the Royals. No I left the colonies to come and be an American; without a hyphen. Single greatest obscenity I know of in the English Language, is to put a hyphen in front of the word American. But I still appreciate what my ancestry means. Just imagine if I had been born in the remains of the Spanish Colonial Empire instead. There’s an example for all the world to see. Almost single handedly destroyed the ancient civilizations of Meso-America. I wonder if the poor sausage understands why the grain prices are low especially when he predicted ecosystem collapse. If the old prince got his way, and consumerism economy disappeared, the replacement economy would sooner need to cannibalize the underlying non-producing institutions such as his. The old prince needs to realize that the masses will not knowingly take less, they will take his first. An ice free arctic by 2013 was another of his forecasts that failed. God help us if he becomes King. The contradiction I cannot fathom is that someone like Charles believes in the science of runaway climaticism and its ability to change the climate but has no faith in science to find answers to problems like feeding the world’s population as science has done for decades. So….this winter we should all “Heat, drink and be merry for tomorrow we die!”? If he was right about global warming if we use heat lavishly form fossil fuels we would have got enough warming not to need it in the future so our use would have declined anyway. That is why they had to change it to climate change and ignore the strange thing that if we did not get global warming then we could not have climate change from the greenhouse effect without first having the warming. Fear is just too much fun, I guess. Rationality is boring and NOT newsworthy. Yes, you’re right. I had not thought about that. I’ll dress up as a “scientist” instead. Bonny Prince Charlie is a Monty Pythonesque upper class twit, lifetime championship award-winner. Not fair to Monty Python. Charles is not even a funny twit , just a very rude ignorant one. When proved wrong as hindsight has done with no uncertainty factor whatever as we are past the deadline with little if no effect this ignorant twit has not even the decency to apologise with the same publicity level his original insults got. The earth will be fine. Humanity might be gone but this sphere of rocks will carry on for billions of more years until the sun consumes it in a supernova. Our sun isn’t big enough to go supernova. Plain old everyday novas for us. Good grief! It will neither nova nor supernova. The Sun is a G2 spectral class, main sequence, yellow, dwarf star. When the Sun leaves the main sequence, it will become a red giant (also called the helium sequence). At the end, it will simply lose its outer layers as a planetary nebula and leave behind a white dwarf. The Earth won’t survive the red giant phase–talk about real global warming! Nothing to worry about most countries signed on to the Paris Accord so the world is saved. See we didn’t actually have to DO anything it’s the thought that counts. It’s like pressing Like on Facebook. It doesn’t do anything meanful but you can feel good about yourself because you showed you care. That’s what matters. Bill J, I think that you have explained this well — yeah, the Paris Accord is very similar to Facebook — it’s a big show of approval for the IDEA of the whole world cooperating to achieve a common goal. It’s showing a “like” for this IDEA. Climate change just happens to be the dressing. It does not have to be a rational idea, … just a symbol — SOMETHING to pin the “like” on. It’s a raceless, sexless, genderless entity that shows no prejudice towards any faction of humanity, no ill towards any animal. It’s the PERFECT common enemy. Can you name a better candidate for a common enemy? It’s a big idealistic hand-holding party. Let’s sing together now. England’s “Profit” of of Doom has now spoken. Soon we’ll hear from our very own “Profit” of Doom about his new film, his inconvenient sequel, as he rakes in profits in the millions we can hope not. Charles is a fervent critic of capitalism because he wants to return to his feudalism roots, and his environmentalism is just a tool to put us all in our places as serfs at his beck and command. When he starts living like he actually believes what he’s preaching, then I might start to believe that he believes. The irony is he IS living out what he is preaching: huge benefits for the royals, serfdom for the rest of us. All I know is that nature refuses to give me a loan. So she might as well go bust as far as I’m concerned. The one function of the monarchy should be to provide an uncontentious figurehead. Since Charles has so spectacularly failed in this he should never be allowed to succeed as head of state. He is also no gentleman as any gentleman would have apologised for the gratuitous insults he used to describe those who correctly given hindsight said climate scientists were talking bovine excrement. Some of us were also so much more educated in practical engineering than any scientists that we could correctly point out why whey would be wrong, from our training is both signal analysis to determine the climate normal progression and from our ability to see that the had no concept of the inadequacies of their data collection in urban areas. Data readily available shows not one of the claimed records are in fact real when intermediate non urban points are used. Marriot Edgar’s comic poem is at https://www.poemhunter.com/poem/magna-carta/ and was famously read by Stanley Holloway. Hate capitalism does he? So maybe he’ll reduce the price on his over-priced “Duchy Originals” organic food brand. Its a global success apparently and has been adopted by the likes of Waitrose in the UK. Hmmm capitalism is bad. Except when its making him richer. The usual guff from a man who doesn’t have to live in the world everyone else does; do as I say, not as I do and a massive hypocrite to boot. The smoke from smoldering dung also functions as an all-natural, sustainable mosquito repellant. So why don’t the yuppie Greens use it at their summer garden parties? Clever prophets if doom secure their profits by avoiding firm deadlines. Apocalyptic claptrap cannot thrive if specific deadlines are stated. Enough of the rubes may remember the deadline and realize they have been conned. That is bad for the apocalyptic claptrap business. So HRH Prince Charles was talking sh1te too then, alongside every other predictor of human doom in history that has been flat-out wrong. Paul Ehrlich, every advocate of Peak Oil, food crisis, crops crisis, population crisis, you-name-it-it’s-a-crisis crisis. The thing is predictions of wealth, health and human happiness don’t make the news, nor do they generate grant funding. ‘If it bleeds, it leads’, is the editors maxim and with good reason. He’s the complete opposite to his father ‘Phil the Greek’ who hasn’t lost his marbles. It is said that his father wanted to put him up for adoption, but nobody wanted him. So they sent him to Gordonstoun. That didnt’t help either. Pretty soon we are going to pass a 96-year May – October afternoon cooling trend for the United States. I was reading this morning about a study that “proves” that we are in the midst of a 6th mass extinction event and nobody has noticed. Apparently there have been billions of local and sub-populations of animals that have been wiped out without anyone taking note. So apparently, Charles’s environmental collapse has already occurred. I just cured my cold, wiping untold numbers of organisms in the process. How shall I designate this mass extinction? Last May, Dutch biologist Arnold van Vliet embarked on a bold and buggy mission to count how many insects are killed by cars — and six weeks later, the results are in. To perform the census of bug vs. car fatalities, the researcher enlisted the help of around 250 drivers to count the number of squashed insects on their front licence plates per distance travelled. After some simple math, van Vliet has arrived at a figure that is nothing short of astronomical. With the help of volunteer squished-insect-counters submitting data to a web site devoted to the dead bug census, SplashTeller, biologists have learned a bit more about how deadly driving can be. All told, over the course of six weeks and 19,184 miles of travel, the smooshed bodies of no less than 17,836 insects were discovered — on the cars’ front licence plates alone. That averages to two insects killed (in that particular area of the vehicle) for every 6.2 miles traveled. While the lives of a couple of bugs may not seem like much, van Vliet is quick to point out that all those little deaths really add up — to nearly a trillion insect fatalities caused by cars every six months in the Netherlands alone. So, forget the CO2 problem with driving fossil-fuel propelled motor vehicles. The REAL problem is insect vehicular homicide. I had no idea. Humankind is truly despicable ! … We should all stop driving imMEDIATELY, start walking everywhere we go, and cover our faces, so that we avoid inhaling any living creature accidentally and killing it. Death is so unnatural. I can see the animal rights protestors making their signs now…. Stop The Senseless Slaughter Of Insects On Our Nations Highways! Let’s hope the eco-loons don’t take their lunacy too far or they will cease personal hygiene to preserve their “biosphere”. Perhaps it would reduce their time disrupting the planet. Those bugs are way more intelligent than all that. They have an innate feel for the direction that the earth is heading, with the 6th mass extinction already rolling along so fast it cant’t be stopped. Humanity (the so called apex creatures on earth) and its blatant uncaring oppression that forces those poor empathetic bugs into deeper and deeper depression is the primary cause of those trillions of suicides. I find it fascinating how someone with the lifestyle that Charles enjoys, is so worried about other people’s addiction to “consumerism”. And nothing wrong with that, provided he puts his money where his mouth is. Like Gore he is a good for me but not for thee kind of guy. According to Hungary Today publication Prince Charles also has an estate in Transylvania that looks very good. If Charlie Jug-Ears is such an ardent criticism of capitalism and an enthusiastic proponent of climate alarmism how come his garage is full to bursting with high-end and very expensive motor vehicles? Prince of Wails. King of Hypocrits. Many of us Brits hope the succession will skip a generation. And a good thing it would be too. Yes, I see how a man like him would give monarchy a bad name. …how come his garage is full to bursting with high-end and very expensive motor vehicles? These are all gifts he didn’t dare to refuse. Prince Charles… the man that wanted to be the tampon of his girlfriend. Sick puppy. I thought he wanted to be reincarnated as a deadly virus, so die already. That was the wish of his father, Prince Philip. There’s something very wrong with that family. Kein Angst, Charlie the daft. Your friends the trees ate all the CO2 regardles of amount, starting with creating our atmosphere from 95% CO2, and have kept it at the minimum to support the carbon cycle, including them and us, at well under 1% for Billions of years. They like the job, are not bothered by another 100ppm or so, and know MIchael Mann et al are science denying frauds on the facts of how the natural climate really works. And you have the advantage on us that you can even ask them :-). At least your Dad knows you are just another nutty science denying Malthusian, who thinks we should all be feudal and agrarian again, as long as he is one of the privileged few. Why should those of us who are educated to understand the issues you are not, do more than laugh at your delusional and regressive stupidity on the facts? Frack off. A great argument for a Republic. I meant “as long as YOU are oe of the privileged few”. Charles, that is, not Phil who understands and supports the application of hard sums and reality rather than delusional ignorance and received opinion the hard of science Charles chooses to believe or not. Patron of the RAE who early on debunked the renewable energy nonsense peddled in the name of climate change it makes expensively worse if from CO2, by bad law. I believe the Queen is desperately trying to outlive her son Charles – for the good of the Empire.